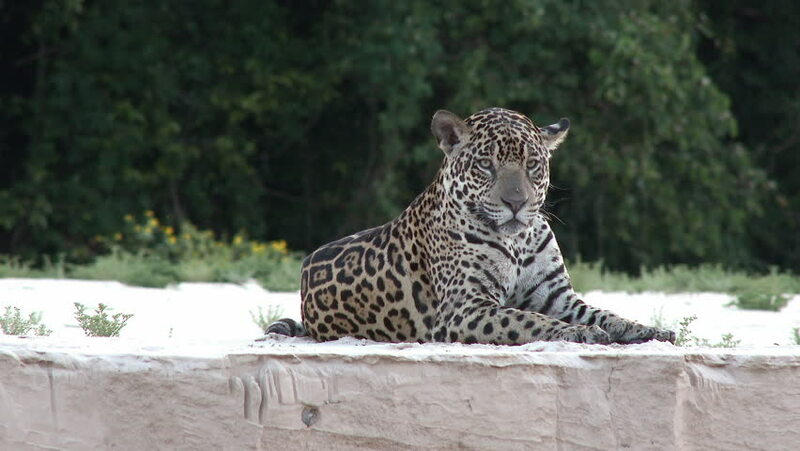 Jaguar (Panthera onca) lying on riverbank, in the Pantanal wetlands, Brazil. Pan shot. sd00:17Lying Cheetah in green grass gets up, walks towards camera, looks around, sits down in Nairobi, Kenya, Africa.